Replacement filters! Never used. My fountain broke and I am not replacing it. Included is a box of 3 and one additional filter from a previous box. Ensure that your cat remains well-fed and has plenty to eat with the Bella Cat Bowl from Loving Pets. This food bowl is made of stainless steel and features a rubber base that prevents spills and reduces noise. plastic dispenses fresh running water motivates the pet to drink reduces bad smells and provides optimal taste enriches the water with oxygen cold water through circulation active carbon filter ensures an improved water quality (incl. 2 replacement filters) transparent tank for content checks quiet pump low power consumption . These filters fit the Catit Fresh and Clear drinking fountain with food bowl station. Prolong the life of your fountain and the cleanliness of your pet's water by replacing the filters every 3-4 weeks or when there is visible debris that can't be removed. Make eating stress-free for your cat with the whisker-friendly Anchovy Bowl! Designed to reduce whisker stress for cats, this shallow, wide stainless steel food bowl is a must-have for all cat parents. Product Details ---Maintains water freshness ---Replace filters every 2 to 4 weeks ---Removes hair, saliva, odours ---Made of coconut shell fibres ---Carbon filter Drinkwell Replacement Charcoal Filters keep your pet's water tasting clean and fresh. Each filter features a duo-density polyester pad that catches hair and debris, while the charcoal removes bad tastes and odors from the water making it more appealing to drink. Filters help extend the life of your fountain and pump and should be replaced every 2 to 4 weeks. Compatible with most Drinkwell fountains. Key Features Catches hair and debris Removes bad tastes and odours from water Extends the life of your fountain Change every 2-4 weeks to maintain water freshness Compatible with Drinkwell Original, Platinum, Big Dog, Multi-Tier, Outdoor Dog, Mini, Everflow, and Zen fountain. Double Pet Feeder Bowl. 1 x Pet Bowl. Your Right to Cancel ?. Faulty products ?. Claims, other than the right to correction of faults with the product covered by these conditions. The above policies do not affect your statutory rights. 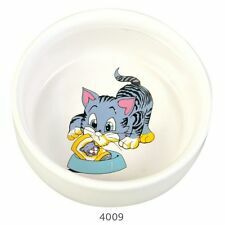 OurPet`s Durapet Bowls are made of high quality heavy duty stainless steel with a permanently bonded rubber ring in the base that prevents sliding and undesirable noise.This will hold 16 ounces of dry food or 12 ounces of water. New Whisker City Blue Fish Acrylic Cat Dog Pet Bowl Dish 11.1oz FREE SHIP!! New Whisker City Blue Acrylic Pet Bowl. Extra thick design, provides the ultimate stability, and makes this dish chew resistant. Easy to clean. Pink Ceramic Cat Bowl. Fish emblem on bowl. Made from Matt Ceramic. Sturdy Design and well balanced so wont tip over. • 2 LITRE WATER CAPACITY. • RAMP REDUCES WATER SPLASHING. PET FOUNTAIN. As such, we have a huge wealth of experience in online trading. At present we list nearly 5,000 specialist aquarium & pet products suitable for Aquatic, Reptile, Cat and Dog enthusiasts. Keep the water in your pet’s Drinkwell fountain tasting fresh. NOTE: this is not the genuine Drinkwell product. Drinkwell Avalon Fountain. Drinkwell Sedona Fountain. Features polyester pad captures debris and hair and granulated carbon for extended action. Description The Drinkwell® Original Pet Fountain keeps your pet healthy and hydrated with 1.5 litres of fresh, filtered water. The free-falling stream of water entices your pet to drink more and continually aerates the water with oxygen. The charcoal filter removes bad tastes and odours and keeps water clean and fresh. Petrageous stoneware cat dog food feed bowl dish saucer 135mm dia. Never run your fountain without a filter fitted. For use with Dog Mate and Cat Mate Pet Fountains. If there's a problem, just let us know and we will fix it. Creates clear fresh drinking water for your pets. Rare felex cat bowl collectable. Can also be used for daily feeding with dry food. Suitable for old or sick cats as well. Food falls from container into 6 different tubes. Developed by cat expert Helena Dbalý. Trains the cat’s skills. Fab Doris the Cat food/water dish - BNWT - from Burgon & Ball.